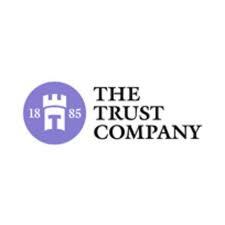 The Trust Company is one of Australia’s oldest trustee companies, established as we can see by its logo, in 1885. They have launched a three year fellowship in partnership with the Melbourne Business School Asia Pacific Social Leadership Centre. The inaugural fellow is Liz Gillies, who was formerly with the Helen McPherson Smith Trust. At the launch of the fellowship a panel of speakers talked about the work Liz will undertake, working on a theory of change with 17 grant recipients from the Trust Company. In his introduction John Atkin, CEO of the Trust Company, referred back to the philanthropist who has made the fellowship possible, Fred T Archer (through his trust which now has a corpus of $45 million). The Trust Company has now embarked on an approach to philanthropy which is longer, deeper and narrower, rather than shallow, wide and short term. Three key focus areas are social inclusion, positive ageing and living with a disability. Ian Williamson introduced the panel of speakers, noting that at the Melbourne Business School emphasis is placed on collaboration and effective partnerships, through their work with the indigenous community, on social entrepreneurship and pathways to work. His comments led to the introduction of Liz Gillies and the fellowship through the question – how do you conceptualise and measure social change? Liz talked about the theory of social change and why it is relevant. She described it as understanding the process of a planned social change, articulating the steps to take and how to set out a blue print. It is a system which reviews what should be evaluated, when and how. Liz’s work with the 17 project partners will create a knowledge hub which will be shared with the not for profit community. She will also examine the purpose of evaluation, and explore philanthropic models and frameworks, demonstrating good philanthropic leadership. Simon Lewis, Head of Philanthropy and Community at the Trust Company, spoke about collaboration and partnerships, talking about how the Trust Company is moving from a behind closed doors allocation of grants in response to applications to more strategic and innovative approaches. His view was that in the past the Trust Company had taken a safe approach to their grant making processes involving 600 – 700 applications each year. They are now focusing on trends such as living giving and development of the social sector and want to be more proactive by utilising the principles of engaged philanthropy. (While I am always keen for more buzzwords engaged philanthropy is not a particularly new term. Have a look at the Engaged Philanthropy Conference Notes from Epcon in Minnesota last year, and Rupert Myer’s talk on engaged philanthropy in 2006). Simon talked about the principles of engaged philanthropy being about people playing to their comparative advantage, collaboration, and understanding where one does and doesn’t have expertise. What was great to hear was a large philanthropic organisation talking about admitting they are not experts in every program area they fund, and learning to identify organisations with whom to work. Simon also spoke about strategic choices, and how the Trust Company has changed its direction by taking its lead from its benefactors and considering what decisions they might have made. Fiona McLeay, Executive Director of PILCH spoke about how she has instigated a theory of change model in their work focussing on pro bono legal services. She sees it as moving away from “widget philanthropy” where one is always counting outputs but which does not give so much space for telling a compelling story. Her theory of change model is looking at where they are going rather than being retrospective, output based and donor driven. Monitoring is more reflective than measuring and she says her staff feel empowered by knowing their energy and passion is contributing to big picture social change (rather than just helping x number of clients). Her argument is that a theory of change model allows an organisation to articulate its outcomes and how they contribute to societal change and allow what has happened to be used in a more meaningful way. a) what is the change we want to see? b) how will that change come about? c) what is our contribution to that change? d) how will we know we are making these changes? (ie what kinds of stories do our grantees tell us about the difference made by our support). Fiona also mentioned that World Vision has been working on a theory of change model for some time with Emma Pritchard taking the lead on this. World Vision articulated its theory of change “as a concept that enables us to map what a project is designed to achieve, and how a project will attempt to achieve it”. The session left me with a lot to think about and get my head around. What do you think of this approach to philanthropy, measurement, evaluation and monitoring? Is it a new way to engage with grant recipients or just another way of looking at what we already know? Is your organisation implementing change theory? I look forward to your comments on this. This entry was posted in philanthropy and tagged Engaged Philanthropy, Fred P Archer Charitable Trust, Helen McPherson Smith Trust, Ian Williamson, Liz Gillies, PILCH, social change, Stanford Social Innovation Review, strategic giving, Trust Company. Bookmark the permalink.